The black and spotted and sand-colored rabbits look cute as can be, but they are unwanted squatters living off the kindness of people who wish they could do more to help them. On a patch of desert landscaping at a state mental health facility in Las Vegas, black and spotted and sand-colored rabbits hop from around the succulents, heading straight for the greens and carrots falling from Stacey Taylor’s hands. As Taylor throws handfuls of romaine lettuce across the gravel, 10, 20 bunnies emerge, practically hopping over her feet. 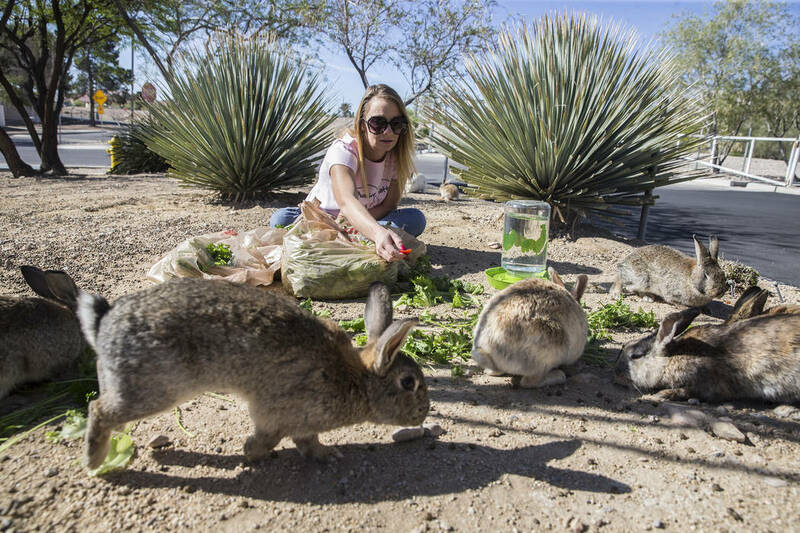 Taylor, who runs the Facebook page “Bunnies Matter in Vegas Too,” is one of four volunteer caretakers on a Sunday in early April making the rounds to various rabbit feeding sites at the complex. At one point, bunny advocates estimate, there were about 1,000 rabbits on the site. Taylor and the other regular volunteers have seen the numbers go down in recent months, though the reason is not clear. 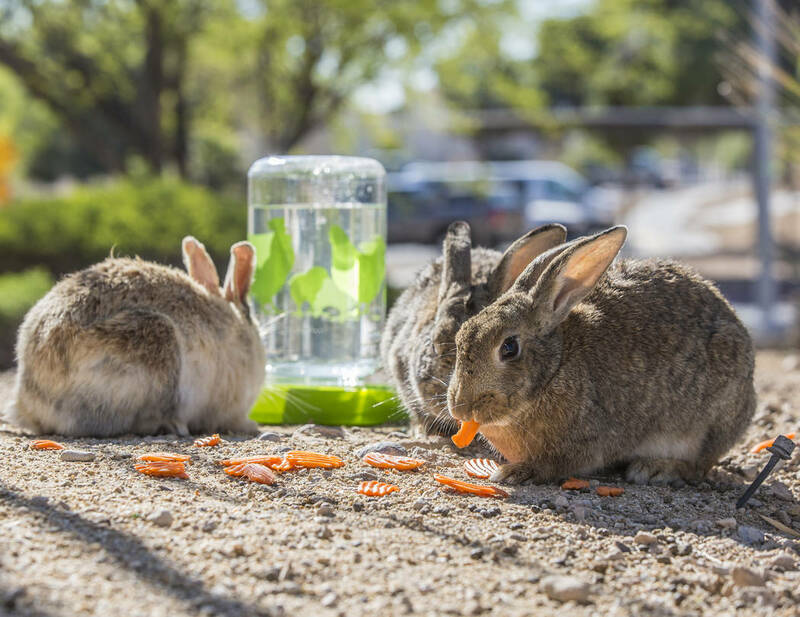 The feral bunnies are a citywide problem, say Las Vegans who have taken the problem into their own hands. 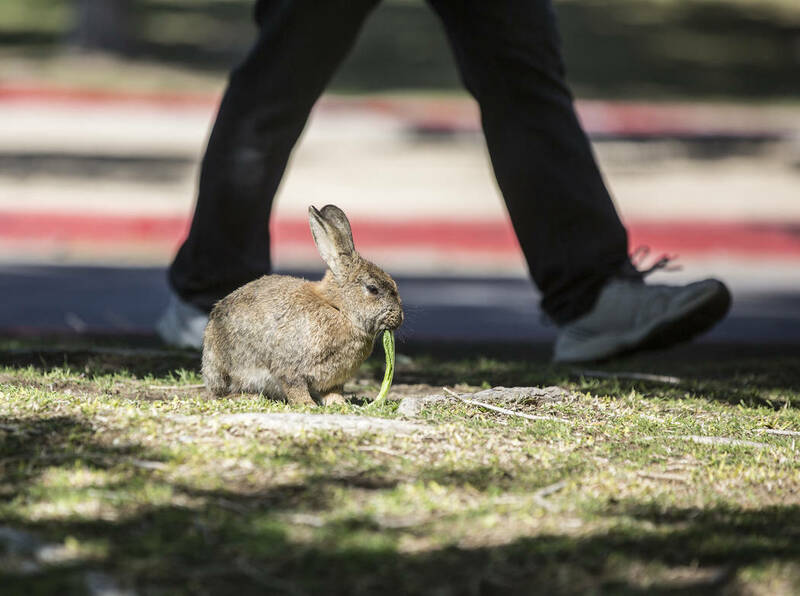 Colonies of domesticated bunnies inhabit parks, golf courses and other so-called dump sites, created when pet owners release their rejected rabbits. Left to their own devices, the rabbits breed, well, like rabbits. The gestation period for rabbits is 30 days, and a litter can range from one to 14 kits. A female rabbit can become pregnant almost immediately after giving birth. 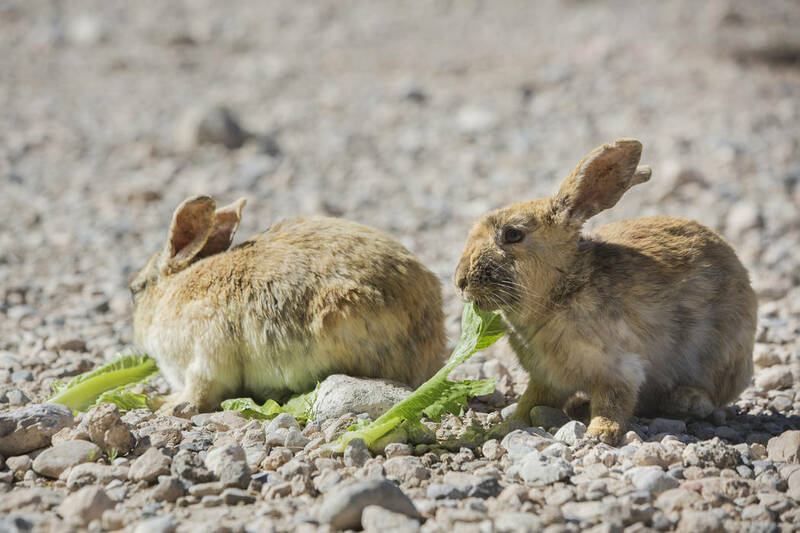 By University of Miami biology professor Dana Krempels’ conservative estimate, one pregnant rabbit could result in about 2,700 rabbits in two years. Schweiger, Taylor and the other volunteers in the Bunnies Matter group visit dump sites around the city multiple times a week to provide water and food. That has been their main strategy, in addition to recruiting more volunteers and educating the public about the real costs of bunny ownership. Though they have rescued rabbits in the past, they don’t actively take any in now because the cost of spaying or neutering is too high. Fostering bunnies is the approach Maria Perez, president of the Las Vegas House Rabbits Society, has taken. It’s something she’s had to put on hold as well. Without more volunteers, she can’t take on any more rabbits. She has a hard time finding volunteers to foster rabbits, in part because her organization, which is nationwide, has strict volunteer requirements. It’s not a commitment many are willing to take on. “I don’t go (to the mental health facility) because it would haunt me and I would never sleep another day in my life, because I can’t fix it,” Perez says. Last year, the Animal Foundation received 420 rabbits, some of which could have come from Animal Control or from pet owners dropping them off. 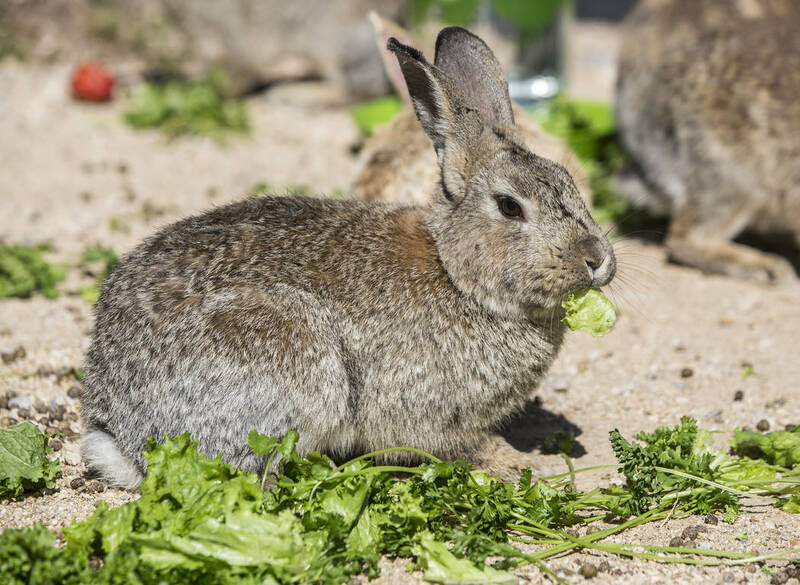 Though a portion of those did come from a rabbit hoarding case Animal Control responded to, the feral bunny issue is not one that Animal Control has taken on, says city of Las Vegas spokeswoman Jennifer Davies. 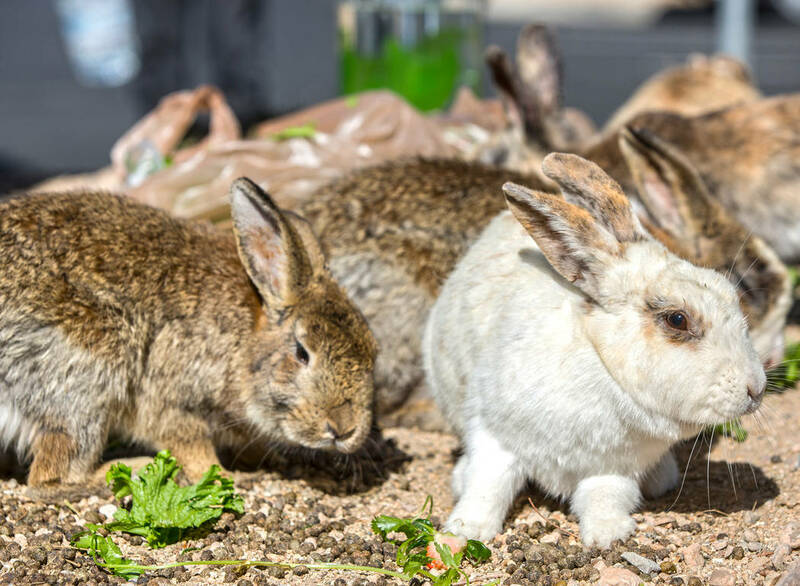 Apart from responding to the occasional call about a dead or injured rabbit, Animal Control does not go out to dump sites to round up animals. To solve the rabbit problem, or at least make a significant dent in the population, bunny caretakers agree money and legislation are needed. One of the most effective solutions for controlling the feral cat population, called “trap, neuter, release,” could be applied to the feral bunny population. Spaying or neutering typically costs about $200, however, and someone would need to foot the bill. The release part of that plan is also technically illegal because it constitutes abandonment. 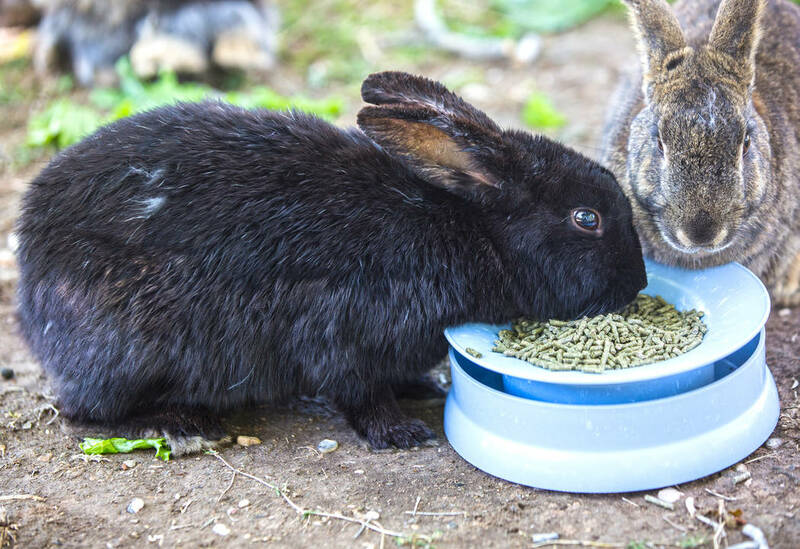 V Animal Sanctuary did receive $17,000 from the state in 2015 to address the bunny population at the mental health facility by trapping, neutering and re-homing the rabbits. The 258 bunnies they were able to remove and re-home with those funds only dented the suspected population there. Now, the shelter is not involved in the effort. Even if enough money were provided to get the problem under control, laws would need to change to prevent the situation from re-emerging, say bunny advocates. Currently, Clark County law stipulates that rabbit owners must spay or neuter their pets. 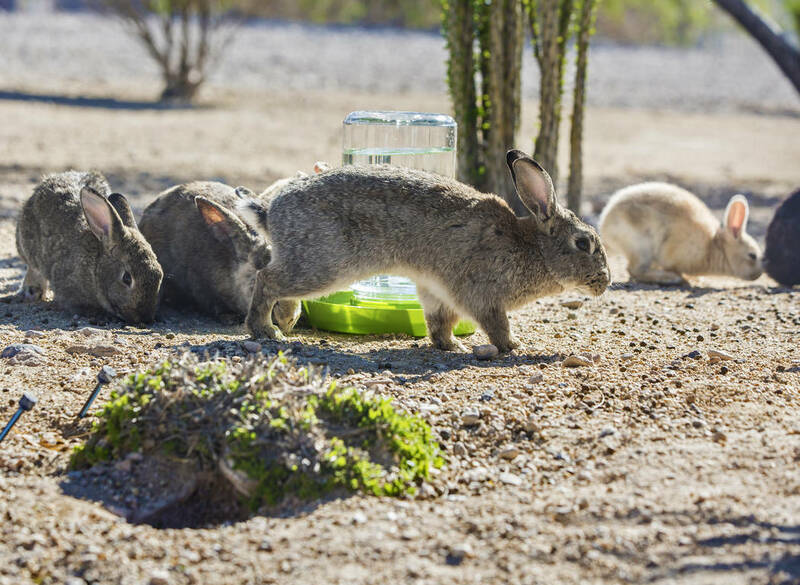 While both the county and the city of Las Vegas ban the sale of rabbits under a certain age, the bunny advocates would like the sale of rabbits in pet stores to be banned altogether. For now, keeping the population healthy is the best they can do. Contact Sarah Corsa at reviewjournal.com or 702-383-0353. Follow @sarahcorsa on Twitter.